It’s been a while since I reminded you about all the great things you receive when you become a member of the Women in Retail Leadership Circle (WIRLC), so I thought I would use the space today to do so! 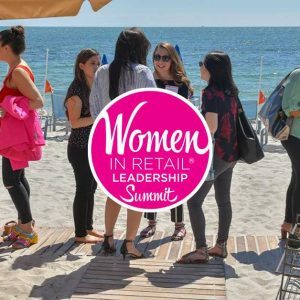 Here’s a quick overview of who we are: WIRLC is a unique, members-only networking group that offers enterprise-level women in the retail industry a place to learn, connect and grow. Focused on both personal and business development, WIRLC offers members the opportunity to share best practices, discuss industry issues, and find inspiration on how to conquer challenges in their professional lives. Our community is comprised of successful, motivated and passionate women from the retail world who have a strong belief that investing in themselves and in other women is good business. Our members are truly amazing and so open to sharing lessons learned! From CEOs with years of experience to founders of startups introducing disruptive technology, the common thread is women coming together to learn from each other and help each other succeed. Free registration to WIRLC regional meetups, and exclusive invitations to Total Retail Roundtable dinners. Collaborative Gain is a private community of senior leaders who make smarter, faster decisions by supporting each other. Members are assembled onto councils of peers by job function in a noncompetitive, sales-free environment where they can count on the confidentiality and commitment of the group. Collaborative Gain is offering WIRLC members 50 percent off their onboarding fee ($750 value). Traction Tech Council, an exclusive membership organization for industry leaders, executives and decision makers to stay on top of the latest technologies transforming the enterprise, is offering WIRLC members 35 percent off a yearly membership ($1,000 value). CabinetM, an enterprise marketing technology management platform, helps users capture information in a simple-to-use framework, share it in a WIRLC account, and then have the ability to filter through all members’ information to find products that could be important to their environment. CabinetM is offering WIRLC members a free, single-user version of its one-year membership ($2,500 value). For members who would like to implement CabinetM across their marketing teams, CabinetM will extend a 10 percent discount off its list price, and provide onboarding at no cost. Innovation Women is an online visibility bureau helping connect entrepreneurial, technical and innovative women with event managers for speaking opportunities. Innovation Women is offering WIRLC members a discount off a yearly membership ($25 value). Learn more about the partnership here. If you have any questions about becoming a WIRLC member, please feel free to drop me a line at mcampanelli@napco.com. I’m always happy to chat! In the meantime, enjoy the spring-like weather!